Terence Michael Alderman (born 12 June 1956 in Subiaco, Western Australia, Australia) is a former Australian cricketer who played primarily as a right-arm fast-medium bowler of limited pace but nagging accuracy and movement. He began his first-class career in 1974 with Western Australia in the Sheffield Shield and came to international prominence when he was chosen for the Australian national team to tour England in 1981. 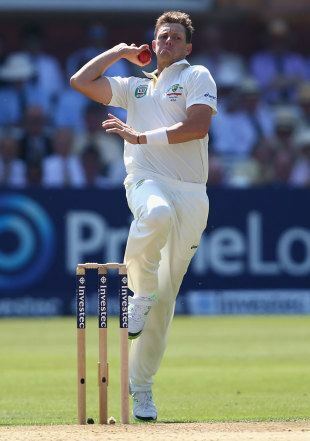 In that series he took 42 Test wickets, including nine on debut, the biggest haul in a series since Jim Lakers 46 in 1956 and the fourth-highest total of all time. Aldermans 42 wickets is the record for the most wickets taken in a series without taking 10 wickets in a match. He was named as a Wisden Cricketer of the Year in the Almanacks 1982 edition. He was disabled from playing for over a year by a shoulder injury sustained on 13 November 1982 when he rashly tackled an English-supporting ground invader at the WACA Ground in Perth. Alderman took part in an unofficial Australian tour of South Africa in 1985–86 and 1986–87, when that country was banned from Test cricket as a Commonwealth anti-apartheid sanction. As a result, he received a 3-year ban from international cricket which disqualified him from playing in the 1985 Ashes series in England. 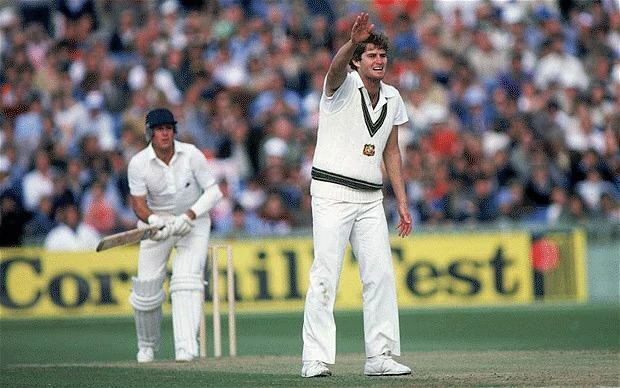 Following his suspension, Alderman returned to the Australian side and resumed his success against England, taking 41 wickets in the 1989 Ashes series and another 16 in the 1990–91 series, his final Ashes appearance. He rarely enjoyed similar success against other countries. His final Test series was against the West Indies in 1990–91, where he ended his career with 170 Test wickets. He was a poor batsman, passing fifty just once in his career and averaging barely eight in first-class cricket. He had three seasons in English county cricket, with Kent (1984 and 1986) and then with Gloucestershire (1988). He now works as a radio commentator in Australia. On 28 July 2000, Alderman was awarded the Australian Sports Medal for being the all-time leading wicket taker for Western Australia. Aldermans sister Denise Emerson is married to former Test umpire Ross Emerson and herself played seven Tests for the Australian womens cricket team. Alderman is an alumnus of Aquinas College, Perth.